Tips for Journey to Cloud Computing Platform is a comparison of enterprise sector and public cloud computing which highlights the benefits of moving to cloud. The normally accepted facts like the time of application deployment can be reduced greatly, from weeks of on a traditional data center to the few minutes it takes in the cloud, accelerated application development, the cost per virtual machine collapsing from dollars to cents are not highlighted in this article on Tips for Journey to Cloud Computing Platform. With measurable known benefits like these, we are focusing on more plus points in this article on Tips for Journey to Cloud Computing Platform, which will help the individuals and enterprises, thoughtful to move to Cloud Computing Platform. Cloud computing requires new architectures in terms of infrastructure and applications to benefit from all the advantages that the new environment offers, such as agility and scalability of IT services. Therefore, the debate on cloud computing is a good reason to consider an open source strategy and the opportunities it offers. Despite the tangible benefits, it is difficult to accurately predict the direction and trends. However, while it can be fun to take a tour, but you must have a goal. The trip includes a careful evaluation and – presumably – the elimination of some baggages, but should also consider the re-use of certain elements. Do you want to achieve the final analysis from the cloud ? The cloud must meet business objectives and be in line with the way of working of the company or a web service. 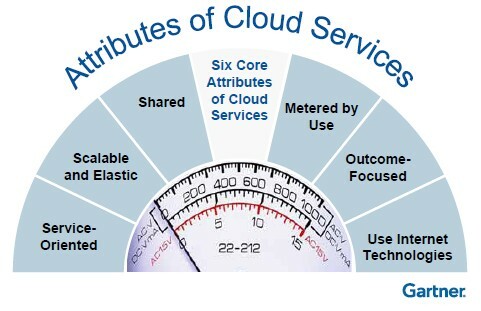 The move to the cloud must be able to respond with agility and speed to changing needs. The best place to start is to consider one of the key services and see if it can work well in the cloud as an infrastructure or platform or software-as-a-service. Similarly, analyzing the way to the cloud, it is good to know if you already have assets, processes and skills that could help in the migration. Making an assessment of the infrastructure on premise is essential to identify the best path to the cloud. It is preferable to determine what can be recycled and reused. When you want to migrate to the cloud, you do not need to do everything yourself. One of the strengths of open source software is represented by the fact that is based on collaboration: it is born for sharing. Develop, use and contribute in development. Anyone wishing to reap the full benefits of agility of private and public cloud can also lead them back to the economic advantage, you will realize that you need to implement a new software architecture. Open source can be the way to this new architecture, offering also a double advantage. There is no rush to adopt cloud computing, it must be an evolution, not a revolution. Every cloud project should proceed to a gradual, steady pace so that it is easier for the organization that uses it. The flexibility of open source solutions is ideal for this organic approach. Cite this article as: Abhishek Ghosh, "Tips for Journey to Cloud Computing Platform," in The Customize Windows, November 6, 2012, April 21, 2019, https://thecustomizewindows.com/2012/11/tips-for-journey-to-cloud-computing-platform/.